Awesome. Need to add this to our own bucket list! 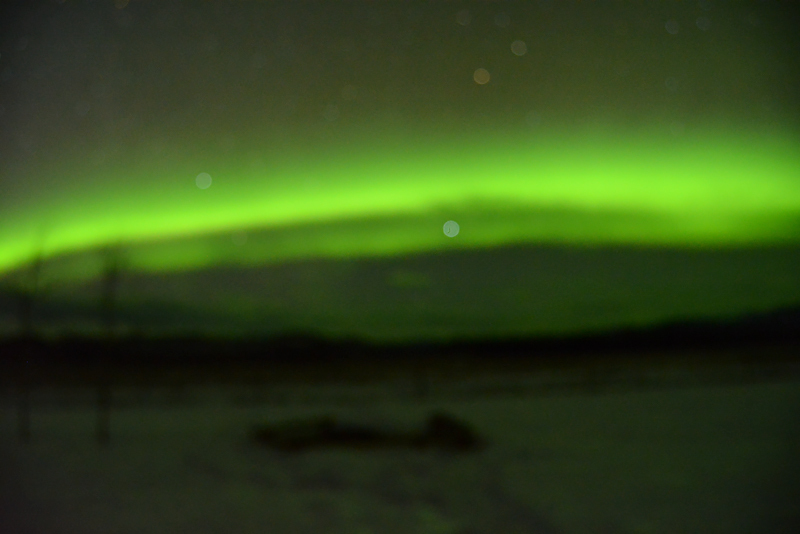 My biggest worry about being somewhere in view of the Northern Lights is being totally unable to snap a decent photo! Funny thing is that I’m not obsessed with photographing things in general and am OK with my mental memory a lot of the time, but something like this, maybe a once-in-a-lifetime opportunity, would make me want to capture it properly for posterity. Beyond the lights, I’m sure you can imagine my infatuation with that cabin! What a great farewell trip as you prepared to leave Canada, too (I’m eager to hear what exactly you are up to if you plan to let us in on that someday!). 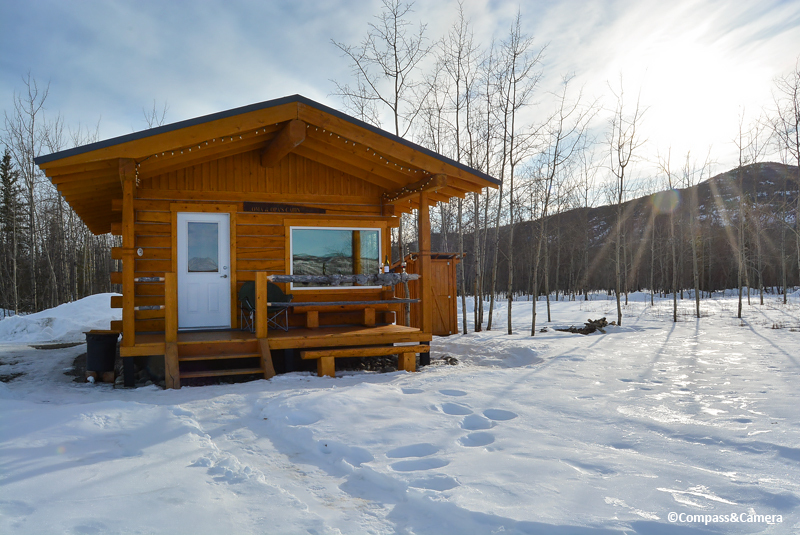 A number of your posts about cabins in Canada have grabbed me, and I still have those places on my radar even though you are now lolling in the sun much farther south! Lex! Great to hear from you! I was definitely feeling the pressure of trying to photograph the Northern Lights, but they’re so cool I expect we’ll be seeing (or trying to see) them for the rest of our lives. Realizing that took the pressure off a little bit and made it easier to put down the camera and just take it in. You would have loved that little cabin — so charming and quiet. Just the bare necessities with a few cool surprises like the tabletop cut into the porch railing and the little fox that trotted through the front yard. Heaven! And yes, we’re much farther south now in the Mexican heat. Formulating a post about the transition but distracted by tacos and cenotes. 🙂 Hope you’re doing well! Jay was asking who you were (based on past comments on my posts) and I was telling him that it’s like you and I are traveling in parallel universes — same paths but never crossing, as recently as Denver a couple of weeks ago! Crazy! Someday we’ll meet! And I can’t wait! Fabulous description and photos Kelly. Sounds like you had a true Yukon experience! Thanks, Alison! Yes, the Yukon was a real treat and wonderful last trip before leaving Canada. We’re in Mexico now. Are you back yet? I need to catch up on my reading. Hope you’re having/had a great trip, and you and Don are either reunited or looking forward to that very soon! xo, K.
I’ll be back in just under a week. I also need to catch up on my reading. And writing! Hope you’re enjoying Mexico! 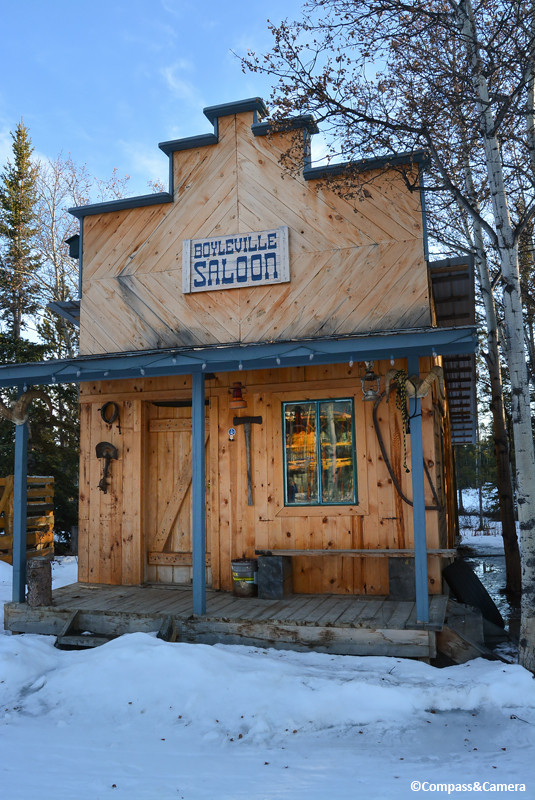 So many layers to this experience – the dogs and the Yukon life always grab my attention, in TV shows such as Life Below Zero, Alaskan Frontier, etc The saloon looks great! The outhouse splendor – the cabin where you stayed. 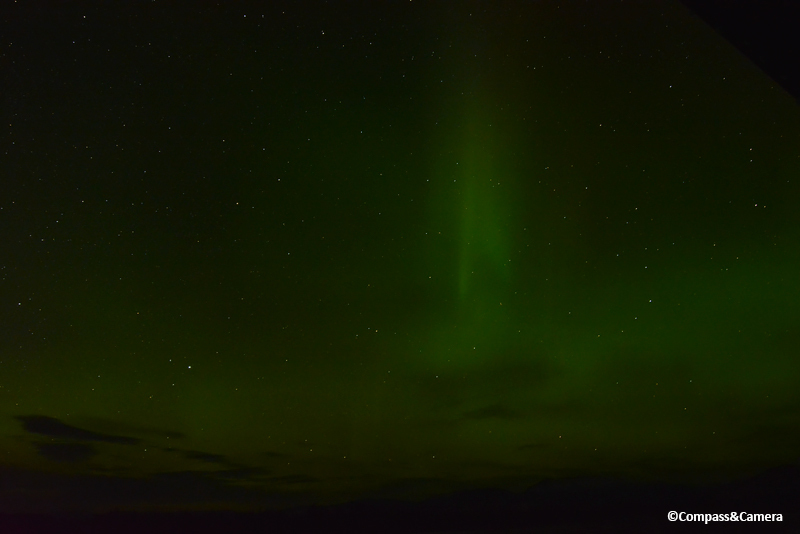 The intense almost emerald Green of the lights….. It must be the Scandinavian in me! I love this post! Thanks, Mom! 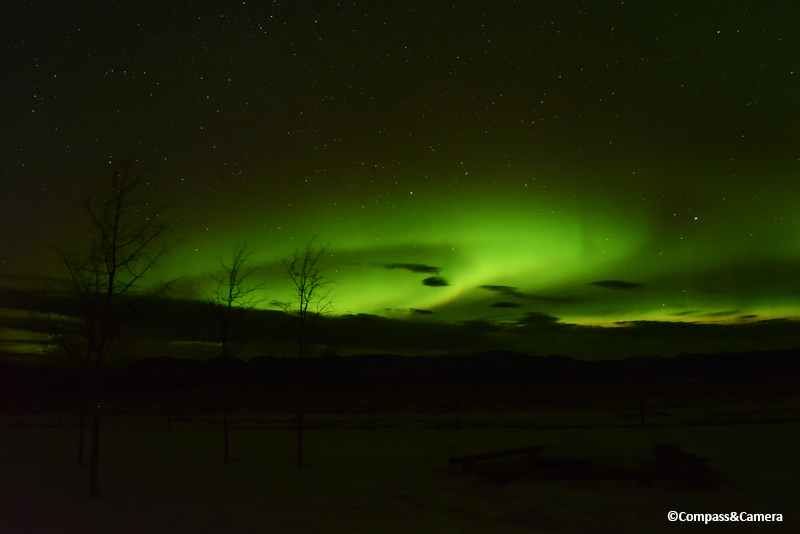 Was a super fun trip and I’m already looking forward to seeing the Northern Lights somewhere in Scandanavia someday! Spectacular photos! 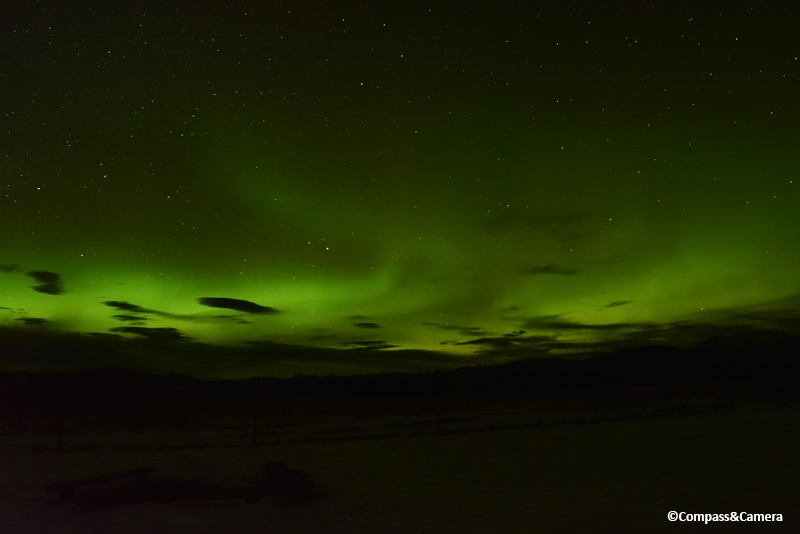 What an experience to have gone all the way to Whitehorse and seen that display! This Canadian has seen only a few vague glimpses of the northern lights on hot summer nights. I’ve also never ventured west of my home province of Ontario but we are finally heading to Vancouver and Whistler in a few weeks. Nothing like your adventures but super excited to see a bit of west coast living and scenery. Hey! Thank you! Really cool that you’ve seen the lights on summer nights vs. winter! Great that you’re headed west! What will you be doing in Vancouver and Whistler? Don’t miss the Granville Market and walking on the seawall. Take a taxi to the Stanley Park Teahouse for afternoon cocktails, then head outside across the street and down to the left — there are stairs to the seawall and you can walk (again to the left) all the way back to Denman Street (use Cactus Club restaurant as a landmark). It’s a beautiful walk on a clear afternoon/evening, or especially at sunset. And if you’re in Whistler, the Peak to Peak (chairlifts and tram) experience is really cool, with beautiful views and moderate hiking. Hope you have a great trip!! We may be headed to France in August! Thanks a million for the tips! We’ll be mostly hanging out in Vancouver so will have lots of time to follow your advice and go to Stanley Park for tea. I’ve also heard from another friend about the Whistler Peak to Peak experience which we’ll definitely make time for. Keep us posted about France — I’m sure you’re well connected but happy to share any tips if it’s in our area (Haute Savoie). Congratulations on your find, and on your great captures. When we lived in Alaska, seeing the aurora was among our favorite experiences. Thanks, Tanja! Where did you live in Alaska? Lucky you, to have been in such a great place to see the lights! I really want to go far north to the Alaskan wildlife refuge someday. Hey! Thanks, Andrew! You never know…we might be back someday. In the meantime, we’re eating tacos and swimming around in Tulum, Mexico. Formulating a post about the transition. It’s our first stop on a *potentially* nomadic rest of the year. We’ll see! Hope you’re enjoying the start of summer! Thanks again! My biggest worry if I go on an aurora-hunting trip is probably not on whether or not I will see the northern (or southern) lights, because I obviously can’t control the nature, but it’s rather on if I can get my camera work properly. This was such an exciting read, Kelly! First the cool cabin, then the sled dogs, and to top them all the unicorn of the sky itself! By the way, you make us so curious now about where your life adventure will take you next — back to Asia perhaps? Bama! Agreed! Getting your camera to shoot the lights isn’t easy! But give yourself a few nights and some clear weather and you’ll work it out, no problem. Happy to hear you enjoyed the post. It was such a cool weekend. We’re currently in Tulum, Mexico. I’m formulating a post about the transition but I kind of have writer’s block!! Ugh! Or maybe I ate too many tacos or chips & salsa?! Ha ha! Anyway, I’ll get through it. I went to the Tulum ruins last week and thought of you. They’re a 20 minute bike ride from where we’re staying. So cool. Such a beautiful site overlooking the ocean. You would love it! Mayan culture is amazing. Looking forward to reading and learning more about it. As for Asia… it’s possible. I would go back in a heartbeat. Feels like home there. Depends on budget and timing but we’ll see! You know, since last year I have been seriously thinking of going to Mexico. It might not happen too soon, but I hope the chance will come within the next few years. Tulum, Chichen Itza, Uxmal, Palenque and Teotihuacan are among the places I most want to visit. I think you would really enjoy it here and find all the rich culture (and food!) you love to explore. I find it very interesting to compare and contrast the historic ruins of Asia with these here in central America (Tikal is another great site you should see in Guatemala). In two weeks we’re hoping to return to Chichen Itza and then see Coba and Ek Balam (for the first time), as well as the city of Valladolid. These are the main sites in our vicinity but there are so many smaller ones, too. Reminds me a bit of Bagan in that way. We’re debating about returning in August to see Mexico City and Oaxaca. Anyway — whenever you visit, give yourself plenty of time!! Please write about them because some of your posts have inspired me to go to the places you’ve been. In fact, the countries I’m going to visit this October and next April are those you went to when you were still living in Asia. I will surely spend as much time as I can afford when I go to Mexico one day! Oooh, exciting! Where are you going in October and April?? Cool shots, cool experience. I’ve seen faint northern lights, but not as nice as these. Absolutely beautiful, Kelly. Living in Alaska for a few years, I was treated to several displays. But my first time I ever saw them I was actually a child growing up in California in the foothills of the Sierra’s when, for some reason, they dipped all the way down and paid a visit. A couple of years ago, I was at a resort outside of Fairbanks staying at a lodge with a number of Asians who kept me awake tromping up and down the stairs even though there was no display. I later learned that they didn’t want to miss it because they believed their children would be incredibly lucky if they were conceived on a night when the Northern Lights were shining. Added to the beauty of the Northern Lights, that looks like a peaceful and relaxing place to be. Thanks for sharing with us! Thanks, Kevin! It was indeed peaceful and relaxing. Hope your place in the world is the same. 🙂 Thanks for reading! I happened upon your blog, first reading about your experiences in the atmosphere of Havana, then this delightful description of the colder Vancouver experience. ‘Twas fun to dip into your world; ’tis a big place, and those who take a moment to document their experiences deserve medals. 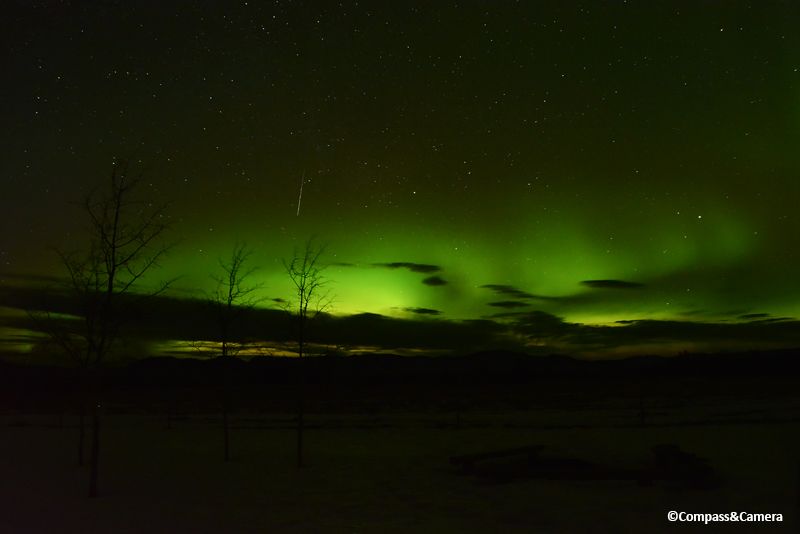 I spent a portion of my life in Minnesota, and every once in a great while, we’d get a glimpse of the “unicorn in the sky.” We get teased every once in a while in the midsection of the U.S. where I live, but nothing close to the show nearer the pole. Yay science! Gorgeous photos of the “unicorn of the sky,” and I love that description. I am SO glad you were able to capture and share them Kelly, as I fear I may never see them first-hand. I know exactly how you felt trying to shoot in the pitch black and how frustrating it can be. Like you, eventually we capture what we want but it’s an exasperating experience. Happy you found time to simply sit and enjoy the show!! Abundant universe indeed.